Sustaining a compression fracture or break in one of the vertebrae of your spine can be quite painful. Not only that, but it can also make it difficult for you to move about freely since it could mean that there are bone fragments in your back rubbing against each other. The good news is that there are minimally invasive procedures that can treat such fractures, relieve your pain, and improve your mobility when other measures fail to do so. One of these is balloon kyphoplasty. 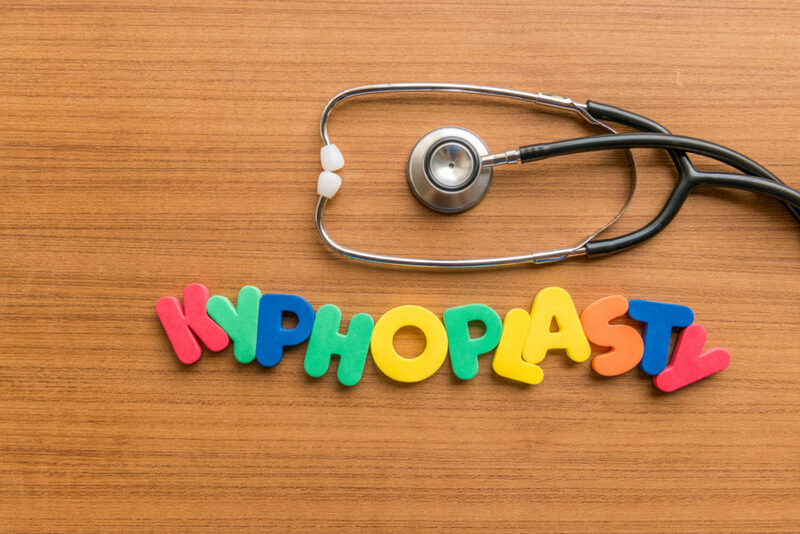 Often performed in conjunction with vertebroplasty – in which the surgeon injects a special cement mixture into the affected bone to strengthen it – kyphoplasty involves inserting and inflating a balloon in the bone to create an opening for the mixture. The balloon is then removed and the cement is injected. Balloon kyphoplasty and vertebroplasty can be effective in treating patients diagnosed with osteoporosis, a disease in which bones lose their density and become weak and brittle, causing vertebrae to collapse. It can also occur in those with bones weakened by cancer. The procedures are also used to mend recent fractures but are usually not advised for other back conditions such as herniated disks, arthritis, or curvature of the spine due to scoliosis. In preparation for these procedures, your doctor will order blood tests before the day of surgery. In addition, imaging tests such as an X-ray or an MRI scan may be ordered to help the surgeon pinpoint the area that requires repair. The procedure itself is performed under general anesthesia. While you lie face down on the operating table, a small incision is made in your back through which a narrow tube is inserted into the compressed vertebra under the guidance of live X-ray. Next, a special balloon is inserted through the tube and carefully inflated. This helps to restore the fractured vertebra to its original height. The balloon is then deflated and removed, leaving space within the bone. Using miniature instruments via the tiny tube, the cavity is filled with bone cement. It only takes a few minutes for the cement to harden and stabilize the bone. If only one of your vertebrae is being treated, the entire procedure usually takes less than an hour and you may be able to go home later in the day after short time in the recovery room. However, if your procedure involves more than one vertebra or there are any complications, you might need to remain in the hospital overnight for monitoring. Following surgery, you may notice significant relief from pain, allowing you to get up and walk. However, if necessary, your doctor will prescribe pain medication and also recommend a rehabilitation program designed to strengthen your spinal muscles. Nevertheless, you should avoid strenuous activities for at least six weeks. There may be complications with a balloon kyphoplasty, as is the case with any surgery. These complications can include infection and nerve or spinal cord injury. Barring complications, your doctor will advise you on when you can resume your usual activities and whether you should take any bone-strengthening supplements or medications. The doctor will also schedule a follow-up visit in order to check on your progress. At Personalized Orthopedics of the Palm Beaches, we want to make sure that each of our patients is well prepared for surgery, even when it’s minimally invasive. Knowing what to expect before, during, and after the procedure can make recovery easier and can address questions, concerns, and reduce the likelihood of post-surgical complications. Our staff is equipped with a wealth of knowledge and experience in general orthopedics, sports medicine, total joint replacements, interventional spine surgery and physiatry, and more. If you are suffering from back pain, Personalized Orthopedics of the Palm Beaches offers many on-site services for your convenience – including physical therapy. Call Personalized Orthopedics of the Palm Beaches today at (561) 733-5888 to schedule an appointment, or complete our convenient, easy-to-use online appointment request form. Let us help you get back to feeling like new again!